Do you feel like you’re being held back from creating the success in your business that you know you’re capable of? Perhaps you need to break old energy cycles that could be holding you back from that success… this is so important! 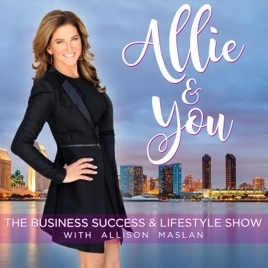 That’s why I invited Lisa Thomas, Founder of Beyond Cellular Healing, to be featured on Allie & You. Lisa is a Transformational energy healer that has dedicated her work to clearing emotional blocks that keep people from realizing their potential. Through her work, she lifts fears, negative patterns, habits, limiting beliefs and more by releasing inherited energy. On this episode, Lisa explains how we are made of energy and that when your energy is blocked, it slows you down physically and emotionally. It is not always a clear pathway, just like how hitting a wall can hurt you. When energy has been stuck in a certain area, it can prevent actual blockages in our daily lives.